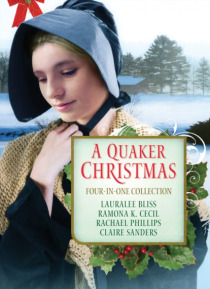 Christmas is a simple matter among the Quakers of the historic Ohio River Valley, but can it be time to welcome love into four households? The Hall family runs an inn that welcomes travelers like Silas Jones who challenge their beliefs and woo their daughter. Widowed Lucinda Hughes mourns her husbands death, while Will Davis blames himself for his friends demise. Keturah Wilkes is curious and outs… poken among her community, which leads her to trouble among Henry Manguns rowdy family. Susannah Griffith has only been an observer of her new husbands activity with the Underground Railroad until this Christmas Eve.